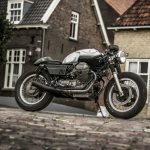 The Dutch custom motorcycle scene is growing and growing. On every event, you see new faces and new builders. 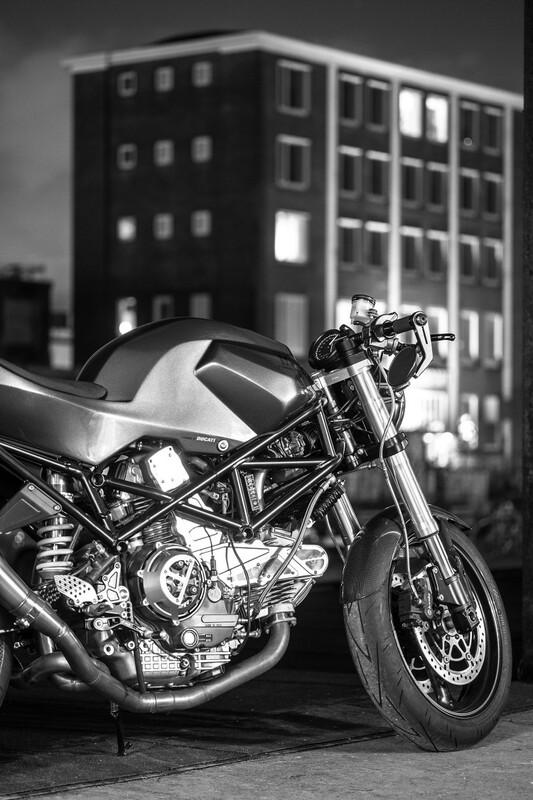 This machine here is from a new talent in town and goes by the name of Timmer Motorcycles, owned by Maarten Timmer. 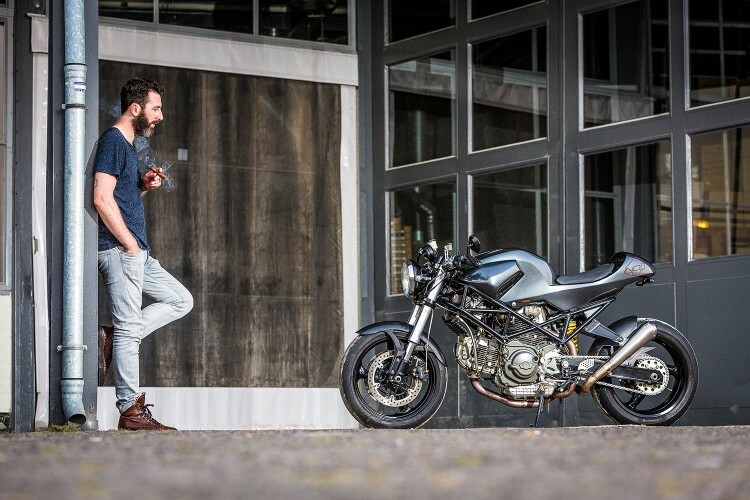 Maarten has a degree in industrial design and works as concept product designer at Spark Design & Innovation. We confronted Maarten with some questions about the product. Why did you build this bike and why this base bike? 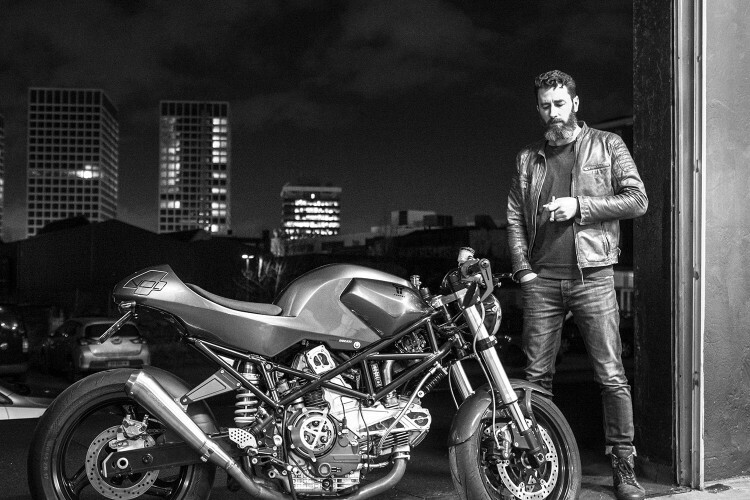 The build of this bike started with the passion for Ducati motorcycles. 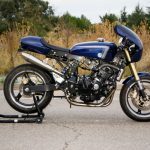 After a University project with the Ducati Factory, I decided to build my own custom Ducati café racer. The name 4Nol is linked to my grandpa, it is an homage to my grandpa named Nol, who teached me how to wrench. The project started with a Monster 900ie, with an engine that has been completely overhauled. 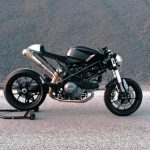 The simplicity of this motorcycle and the “ridable power” is key! The icon Monster needed to be the base for this project. 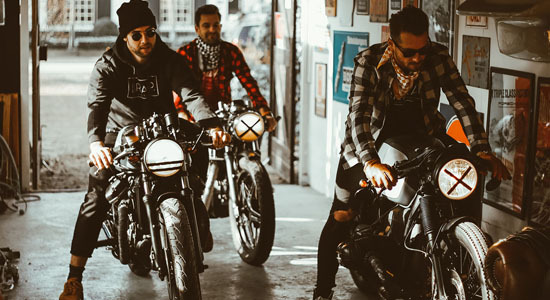 The inspiration came from the 60’s café racers, these bikes that have been transformed into sleek racers build for the ride. But I decided to design a modern interpretation of those bikes. The straight line, flowing from tank into seat, is characterizing those motorcycles. 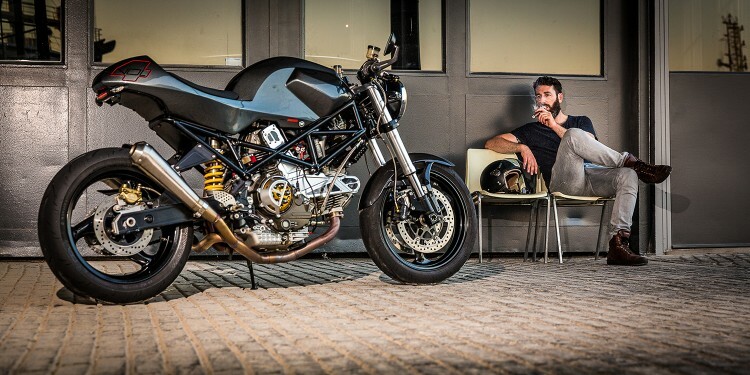 So the feel of a true café racer, but the looks of a modern one. 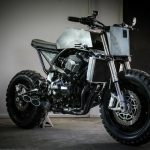 The inspiration for this build and any Timmer Motorcycles build, comes from other bikes and various other sources like products, cars, and architecture around me and on Pinterest etc. After hours and hours of sketching, I found the right lines and proportions, allowing me to start clay modeling to refine the modern café racer lines in real life. What was the total budget? 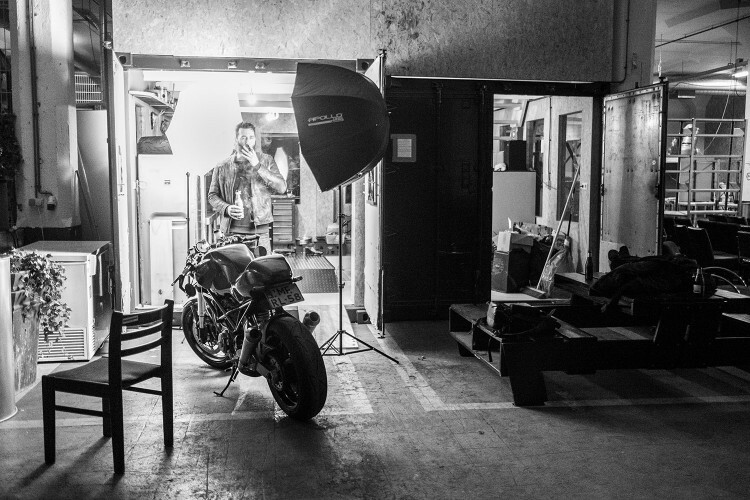 Challenges are part of the development of any premium custom motorcycles. But for this project specific: the entire tank and seat are designed and sculpted in a clay model and resulted in one coherent shape. Timmer Motorcycles believes the perfect balance and stance of a motorcycle can only be achieved by a full-scale clay model. The final clay model design was translated into rough 3D CAD data, making use of a 3D scanner. This acted as the starting point for the integral digital designed one-piece body. Through this process, fiberglass molds could be made in which the final body was laminated. 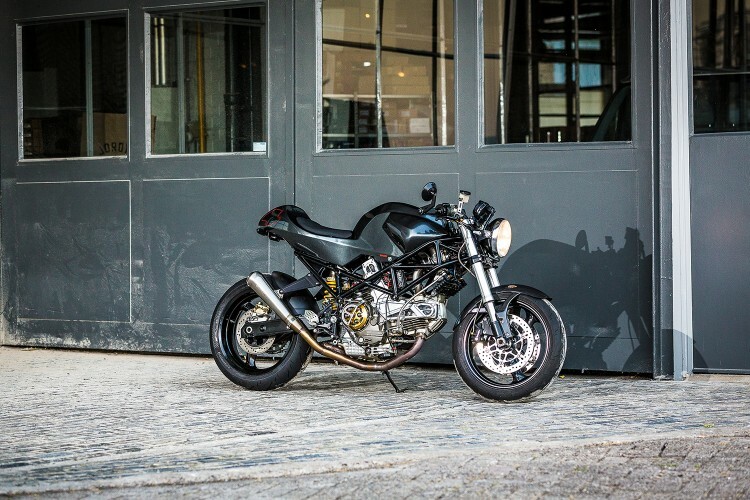 This body strengthens the typical café racer lines and characteristics. The overhauled 900ie engine provides smooth yet high torque power at low revs. To make this engine run as smooth as possible, an entirely new 2-1-2 exhaust manifold system was developed for the two Spark megaphone silencers. Furthermore, this 41mm wide manifold with the K&N performance filters and Dell’ Ortho carbs are contributing to this performance. The design and manufacturing of this system was a challenge on its own for make it fit as compact as possible around the engine. 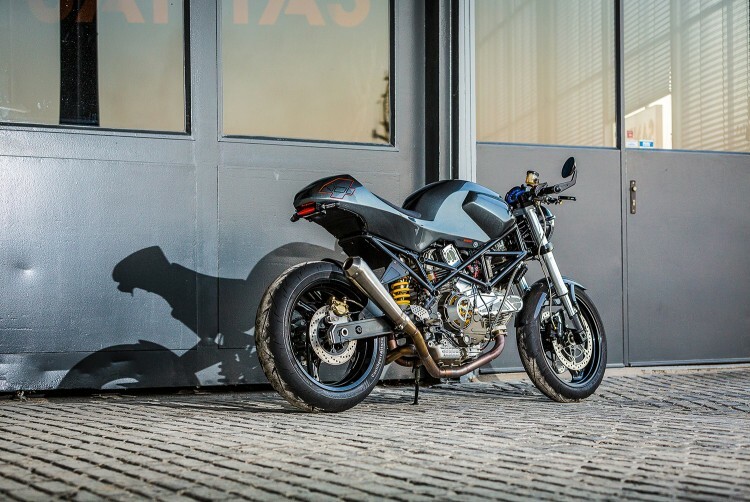 After defining the position of the exhausts the CNC milled brackets were designed in-house at Timmer Motorcycles. Two smaller versions of these brackets can be seen in front of the bike in the form of headlight brackets. 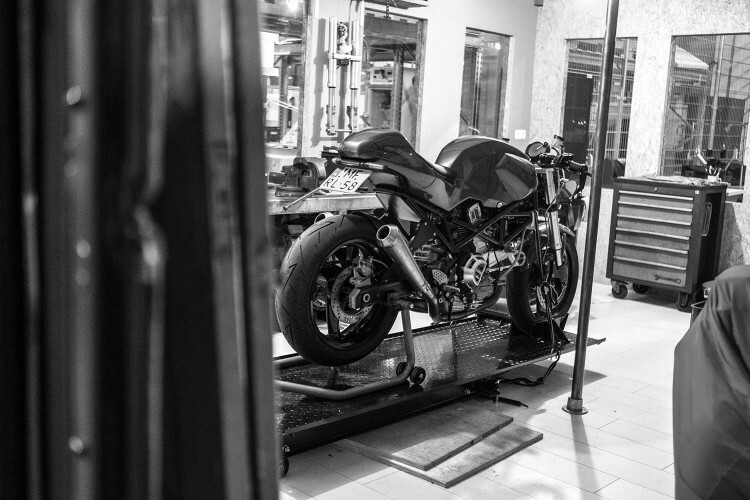 At Timmer Motorcycles a lot of 3D CAD modeling, clay modeling and CNC milling are the important elements in the process of building the premium customs. The exhaust manifolds are developed externally. 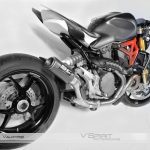 The expertise of Star Twin on exhausts and Ducati motorcycles was a key for the exhaust design. The frame adjustments have been executed in collaboration with WiMoto. 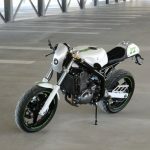 The skills and workshop of WiMoto made this a quick fix. Along the way, I received some help from friends assisting with the sanding of the molds for example. All the elbow grease. The tank-seat unit has been painted at TonCar, by Fred van Egmond. The devotion he puts in the paint job is unique. The entire one-piece tank-seat piece has been designed and manufactured at Timmer Motorcycles. The exhaust system is entirely developed for the best performance suiting the 900ie engine. For the air intake Dell’ Ortho PDM 40 carburetors are used with conic shaped K&N filters. The 4Nol is equipped with high-end Rizoma parts all over: clutch, timing belt covers, levers, clip-ons, footpegs and indicator lights. Full new electronic systems and Koso speedometer. The brackets for the exhausts are CNC milled, even so the headlight brackets. These head light brackets ae mounted on a sheet metal adapter on which the Koso speedometer is mounted as well. What do you like the most about the bike? The one-piece tank-seat unit is my favorite part of the 4Nol. It creates the aggressive stance and flows perfectly from the front to the rear of the bike. This is the design element, that one part, that makes this motorcycle unique. And last but not least: how does it ride? It rides easy and loud! The high torque at low revs makes the 4Nol a pleasure to ride with a smooth and direct control. 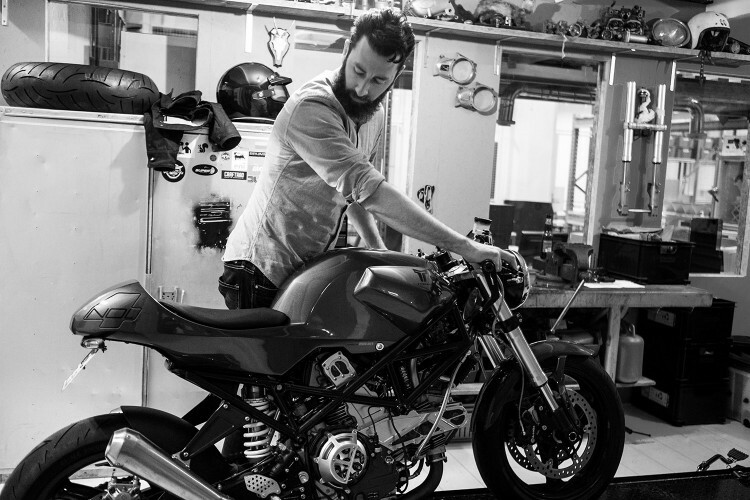 To build a motorbike is not at all an easy task. So, don’t rush during making your own motorbike. Remember one thing always that it’s a machine, and it will be behaved like as you build it. Try to know everything related to building a motorbike and implement the instructions with great dedication and patience.